The Online Patient's Report Link is under maintenance. The inconvenience caused is deeply regretted. Mumbai in India. Since 1993, the hospital has experienced rapid growth to become a key player in the healthcare sector of this up-and –coming satellite city. 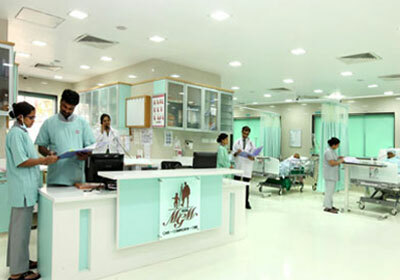 The Mahatma Gandhi Mission (MGM) New Bombay Hospital Vashi is one of the most advanced multi-specialty tertiary care centers in the heart of Navi Mumbai in India. Best of Expertise, Infrastructure, Technology, Equipment, and Processes under one roof. 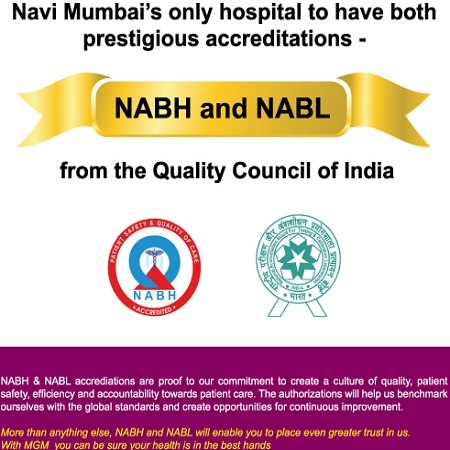 First in Navi Mumbai to have prestigious NABH and NABL Accreditations. MGM Vashi Celebrates World Physiotherapy Day 7-8 Sept. Offers 50% OFF on Bone Mineral Density Assessment & Free Physiotherapy Consultation. 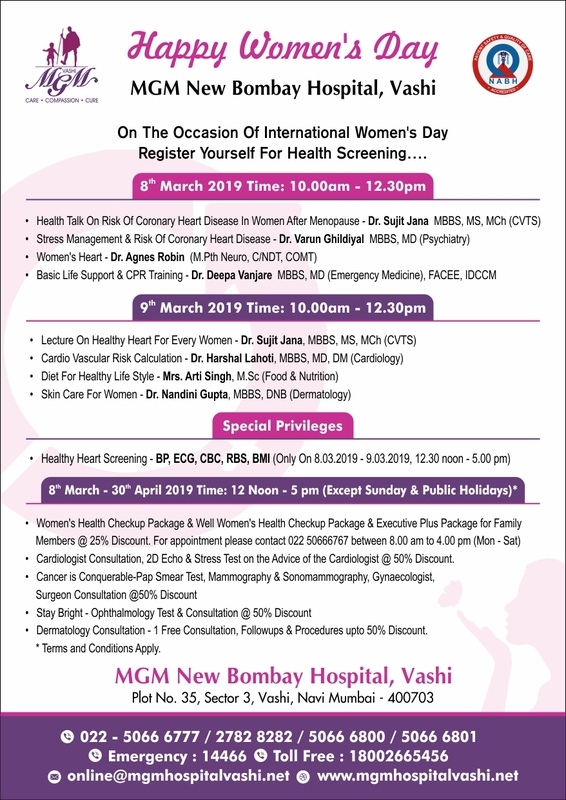 Dr. Tanushree Sengupta is one of the best Gynecologists in MGM hospital, Vashi. At 33 weaks of gastation, my wife reported her for general check up as she was having some complications. It is due to her promptness that the mother was discoverd with serious ailments i.e: in simple term low oxygen supply to the foetus, high blood pressure, low liquid level at the foetus and extremely low platelets count. That condition had no other option, but to perform an immediate ceaserean loaded high risk for both mother and baby. It is due to her professionalism and excellence everything went smoothly well and finallywe are at home overcoming all difficulties and worries. Good service ,maintains cleanliness in all areas, cooperative staff, following accreditation board , and overall satisfactory. 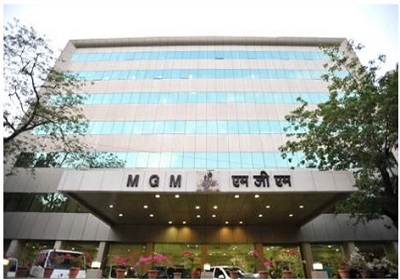 I had been to MGM hospital, Vashi for my son's physiotherapy treatment. The team of doctors headed by Dr. Manju Ghidiyal and Dr.Agnes Robin along with other support staff was very co-operative and rendered excellent treatment to my son with a humane touch which is extremely praiseworthy. Appropriate counselling and their positive assurance from time to time build our confidence day by day. Almost one year of physiotherapy and excercises was completed in this hospital under the guidance of this team. 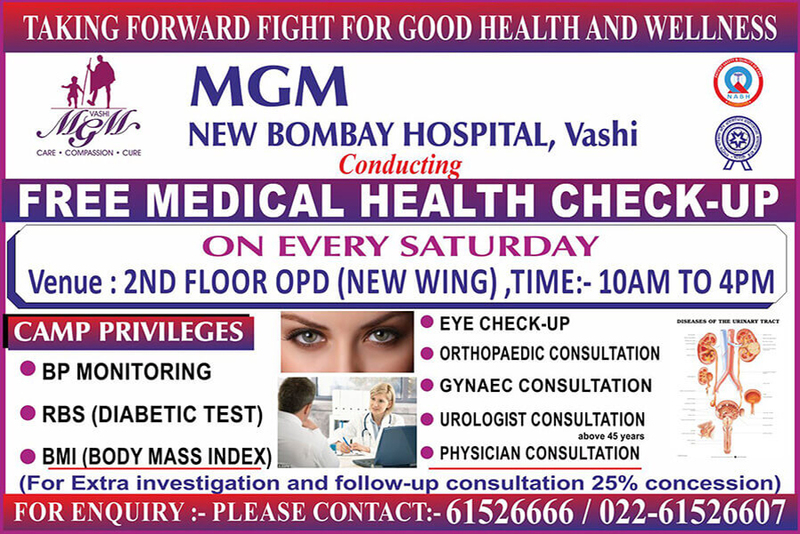 We had a good experience and we are happy to have chosen MGM Hospital, Vashi. Once again our sincere thanks to Dr.Manju G., and Dr.Agnes R. and the whole physiotherapy team. 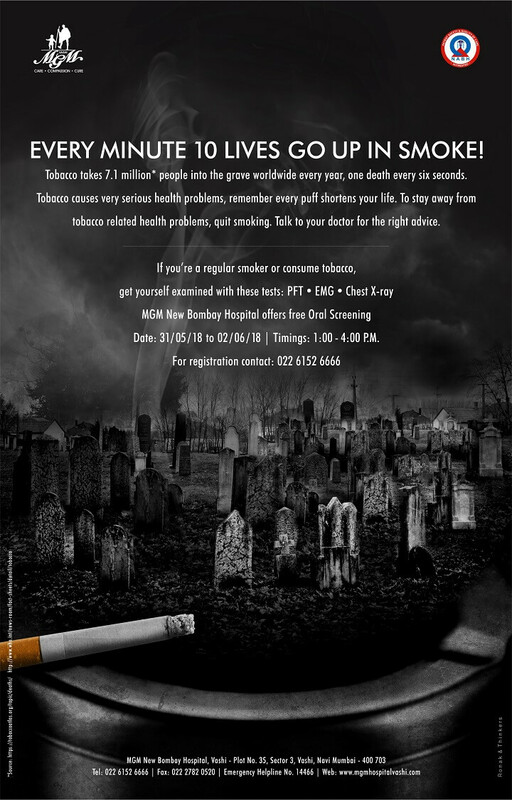 Dr. Sunita Mohan is an excellent Doctor. She is an asset to MGM. I was treated well and there is lot of improvement in my eye. She is very caring Doctor. I, Rajiv Trivedi, son of Mr.V.S.Trivedi, would like to thank you for having very excellent team of Doctors and a wonderful facility in New Mumbai. At the age of 67 years, though my father had severe knee pain, and had never been under the knife for his entire life, was reluctant to go for a TKR, due to incorrect information/s and lack of knowledge of an experienced Doctor. Then, we happened to meet Dr. J.P. Jain and Dr.Misbah Khan, at your good facility. I was really impressed by the way Doctors displayed their skill, knowledge and with great patience convinced my father for the surgery, who at the end of the discussion was very eager to undergo the procedures, to lead a good Quality life. It was decided to conduct the TKR for both the legs at the same admission, within a gap of 4-5 days, and with the successful implant of the left knee, one day prior to the right TKR, the procedure was cancelled. On inquiry, I was informed that the patients blood platelets count was less, and it would be a good decision, if the right TKR, would be done after all his reports were back to normal. The above decision of the Doctors gained our full trust, and we were sure, that at some other facility, the procedure would have continued, with Blood transfusion. Both the mentioned Doctors are very approachable, understanding and have seen that they have a lot of concern for their patients and are ready to walk the extra mile for their well-being. Our stay at the hospital and the follow ups have been very good. Last but not the least, the entire nursing staff, cleaning/ward boys and administration department did all their best, without any flaws or complaints, and cheers for them too. I strongly believe that, Dr.J.P.Jain, Dr.Mishab Khan and his team are doing a great work out there, and will continue to do the same for many coming years with great devotion, and are the pillars of your organisation, worth retaining, and will always bring joys in life of the patients, by improving their Quality of Life. Trust, you will continue with your success story, and once again, we all thank you for having a good facility, best team of Doctors and nursing staff, all under one roof.